Here at Valuebiz – Charlotte and the Carolina’s premier office furniture dealer since 1993 – we know that upgrading your office may entail more than just buying new furniture. For example, what is the most efficient and practical layout for your furniture? Do the color schemes match up? Is the furniture modern and ergonomic? These are just a few of the questions you may ask when revamping your current office or relocating to a new one. In order to help you address these issues, and others like them, we work alongside our sister company, Relocation Strategies Charlotte. 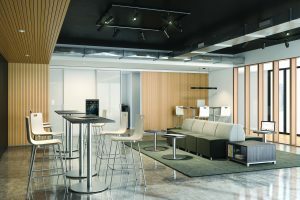 Interior design and layout services – Through Valuebiz, you’ll have access to complimentary interior design and layout planning when you purchase office furniture from us. We’ll come up with a design and layout that not only looks great, but also maximizes space and promotes a productive work atmosphere. Relocation, re-stacking, site construction, and vendor occupancy project management services – RSI Charlotte will ensure that relocation to your new office goes as smoothly as possible. Our highly trained project management team will develop and execute your relocation project, allowing you to focus on your business. Project management – RSI professionals can procure the services of key vendors for your relocation or office expansion project. For example, RSI will develop applicable RFPs for clients to shop and source vendor occupancy vendors. Additional aspects RSI Charlotte can assist with include IT/voice/data/cabling, GC, sound masking, furniture, electricians, and painters to ensure the essentials of your project are covered. For more information about the interior design, office relocation, and project management services we offer to businesses in the Charlotte, NC, area, contact Valuebiz today.